Our main reason for being in San Diego last week was to experience Comic Con 2016. However, we couldn't go to San Diego without experiencing some of the city! Since this was my first time in the city we hit up some of it's most famous spots. 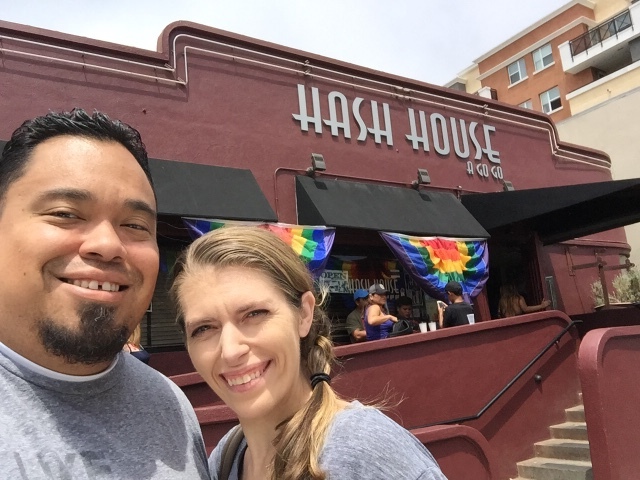 Our first stop was one of the top five restaurants for breakfast... Hash House A Go Go. 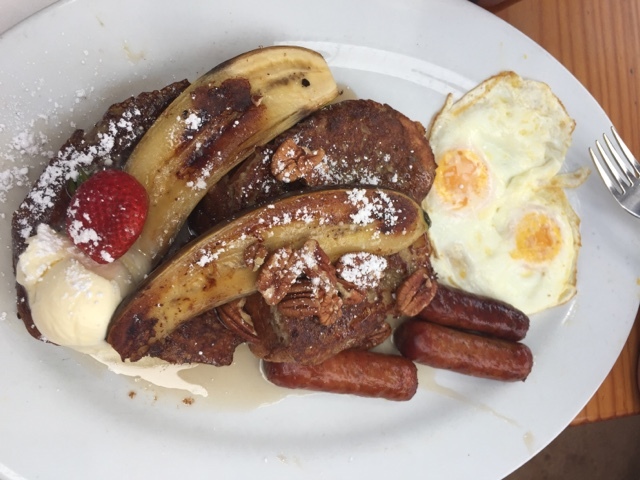 This French toast had an entire fried banana and strawberries as a garnish, eggs and sausage. It was so much food we couldn't even make a dent. We took our leftovers and ate them the next morning. Our entire meal was under 40 dollars. This place lived up to it's reputation and was amazing. I am a huge lover of breakfast foods and this place is on my must hit list for all future visits. 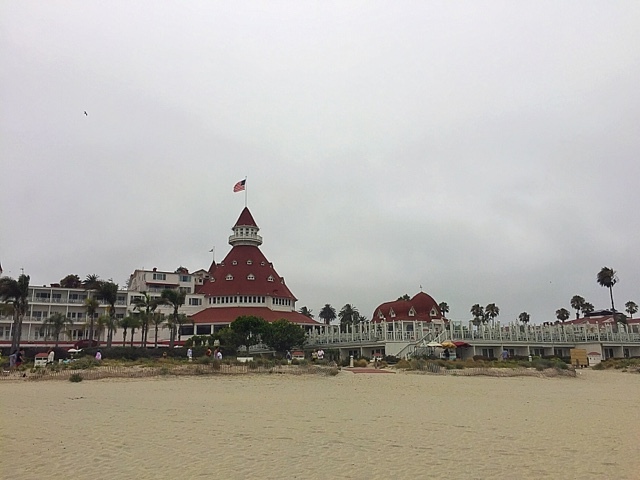 After we gorged ourselves at breakfast we headed out to Coronado. 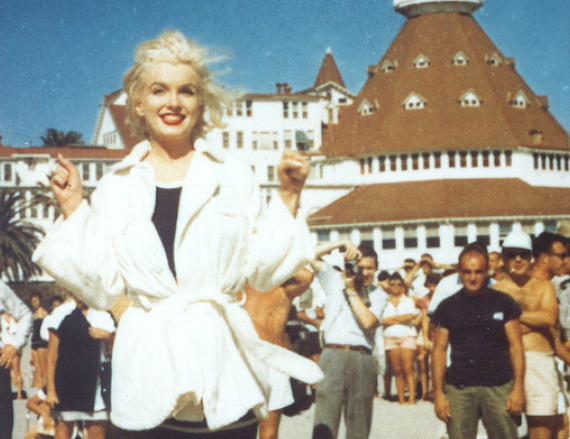 For years I have seen the famous photo of Marilyn Monroe on the beach out in front of the Hotel Del Coronado. 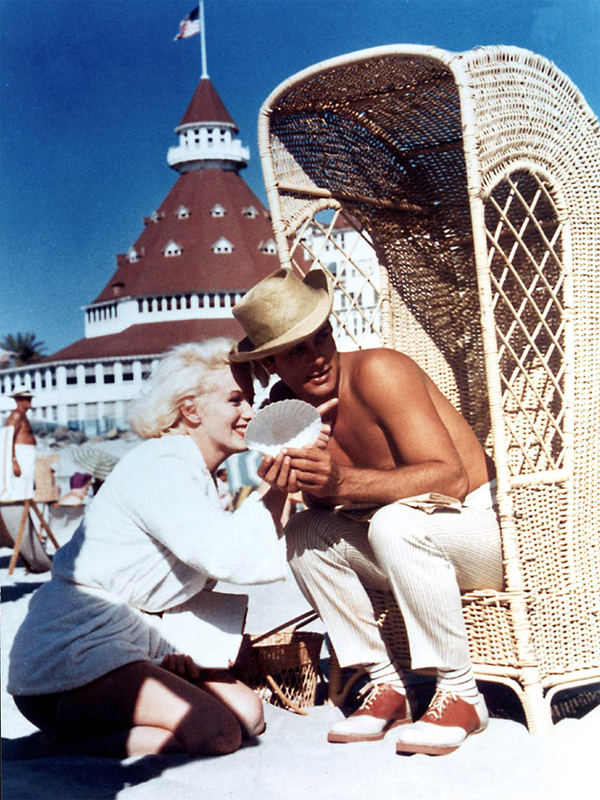 And of course, I've seen the movie Some Like It Hot. 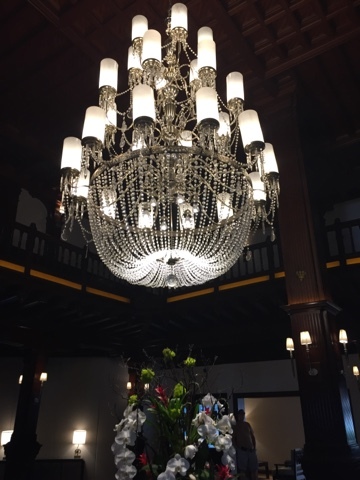 The inside of the hotel is just as fancy as you would imagine it to be. It was literally just like in the movie except a little updated since back then. The hotel is in the perfect spot, right on the beach. It's also got everything you could need during your stay. It has food, shopping, views and the beach. I'm hoping the next time we go to San Diego we can stay there. The next time we go to San Diego we are going to hit up the Zoo, La Jolla beach and Balboa Park. We would also like to visit the Navy yard and see the famous kissing statue. We had a great time while we were in San Diego and could even see ourselves moving there one day. I am glad you guys enjoyed your time in San Diego. I love living here, and must admit I am incredibly soiled by all things San Diego. I love Hash House and next time you come you should try their Chicken and Waffles and Bacon Bloody Mary. I'm getting married in SD this November, and the funny thing is, I think I have only spent maybe 6 hours there total in my entire life! hahaha!